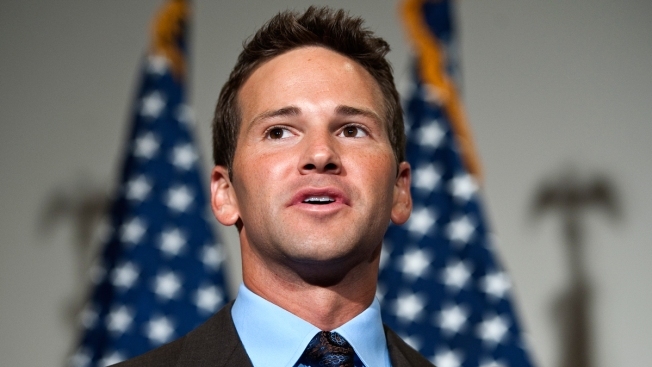 Suspicious that the other side was leaking sealed information, federal prosecutors in Springfield demanded a hearing this week before the judge overseeing a grand jury investigation of former congressman Aaron Schock. But that hearing was abruptly canceled Monday when the government was forced to admit that the “leaked” document in question had in fact been properly released by the judge herself, and that nothing was amiss. The grand jury is believed to be investigating Schock’s use of campaign funds and monies from his official congressional account. At issue was a previously-sealed prosecution motion which detailed, among other things, the fact that Schock continued driving a car even after he sold it back to a Peoria car dealership for $46,000. Portions of that motion were included in another document which was unsealed by the court on Monday, August 10, and stories about the car were reported by NBC5 and the Chicago Sun-Times. Problem was, the actual document was not unsealed until the following day, and federal prosecutors did not know it had been attached to that other document the day before. Smelling a rat, they notified the court, demanding a hearing to determine who was leaking sealed documents to the media. “The government has advised the court that on August 10, 2015 there were media reports containing information that appear to derive solely from the government’s motion…which remained sealed as of August 10, 2015,” the court wrote in an item docketed last Wednesday. A hearing on the purported leak was set for Tuesday. That prompted an angry backlash from the Schock camp. No harm, no foul, apparently. “The government has no objection to the Court determining that the (hearing) on August 18, 2015 is unnecessary,” they stated. And the judge struck the hearing from her calendar. Schock is next scheduled to appear in court August 28.